NASA's epic Kepler Mission is studying sun-like stars by tracking changes in their brightness, or their oscillations in their hunt for Twin Earth's in the Milky Way. The mission has detected changes in brightness in 500 sun-like stars, giving astronomers a much better idea about the nature and evolution of the stars. Prior to Kepler's launch in March 2009, astronomers had identified the changes in brightness, or oscillations, of about 25 stars similar to our sun in size, age, composition and location within the Milky Way galaxy. A star like our sun is shown with an orbiting planet in the foreground. NASA's Kepler Mission is studying sun-like stars by tracking changes in their brightness, or their oscillations. To date, the mission has detected changes in brightness in 500 sun-like stars, giving astronomers a much better idea about the nature and evolution of the stars. Prior to Kepler's launch in March 2009, astronomers had identified the changes in brightness, or oscillations, of about 25 stars similar to our sun in size, age, composition and location within the Milky Way galaxy. 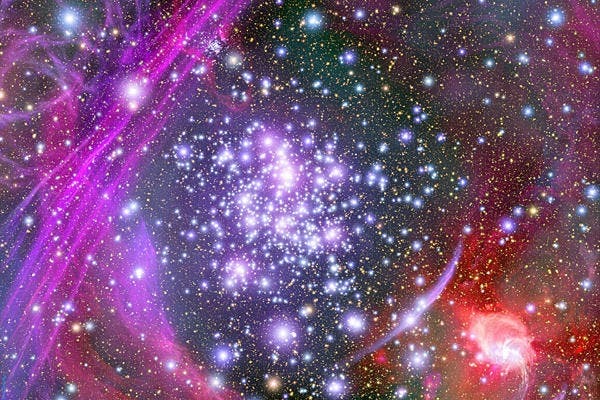 Bill Chaplin of the University of Birmingham in the United Kingdom, says those oscillations provide clues about star basics such as mass, radius and age as well as clues about the internal structure of stars. "This helps us understand more about the formation of stars and how they evolve," said Steve Kawaler, an Iowa State University professor of physics and astronomy, and a leader of the Kepler Asteroseismic Investigation. "These new observations allow us to measure the detailed properties of stars at an accuracy that wasn't possible before." The Kepler spacecraft is orbiting the sun carrying a photometer, or light meter, to measure changes in star brightness. The photometer includes a telescope 37 inches in diameter connected to a 95 megapixel CCD camera. The instrument is continually pointed at the Cygnus-Lyra region of the Milky Way. It is expected to continuously observe about 170,000 stars for at least three and a half years. Kepler's primary job is to use tiny variations in the brightness of the stars within its view to find earth-like planets that might be able to support life. The discoveries are reported in a paper, "Ensemble Asteroseismology of Solar-Type Stars with the NASA Kepler Mission," in the April 8 issue of the journal Science. The lead author of the paper is Bill Chaplin of the University of Birmingham in the United Kingdom. The paper says Kepler is a big boost to asteroseismology, the study of stars by observations of their natural oscillations. Those oscillations provide clues about star basics such as mass, radius and age as well as clues about the internal structure of stars. Kepler has provided astronomers with so much new information, the Science paper says they're "entering a golden era for stellar physics." Data from 500 sun-like stars gives astronomers a much better understanding of the stars, their properties and their evolution. It also gives astronomers data to test their theories, models and predictions about the stars and the galaxy. And it gives astronomers enough data to make meaningful statistical studies of the stars. "But this is just the start of things," Kawaler said. "This is a first broad-brush analysis of the data we've seen. This is a preview of this new tool and the kind of detailed census that we'll be able to do." Among the projects to come, according to the Science paper, are studies to determine the ages of all these sun-like stars and studies of the host stars of the earth-like planets discovered by Kepler.